Our customized window treatments are fabricated at our in-house workroom, along with our custom bedding and upholstery. Glamorous layers of opulent fabrics or basic shades drawn tightly with uniquely detailed trim – the options are endless and each project offers a new chance to reinvent what people think of as a window covering. Our design team relishes the opportunity to dive into high-end fabrics and trim to hand-sewn luxurious custom bedding ensembles (pillows, bed skirts, and more). Whether your their style is clean, contemporary lines or plush traditional textures or fine silks and satins. We can design a custom bedding collection for a truly lavish look and regal experience each and every night. 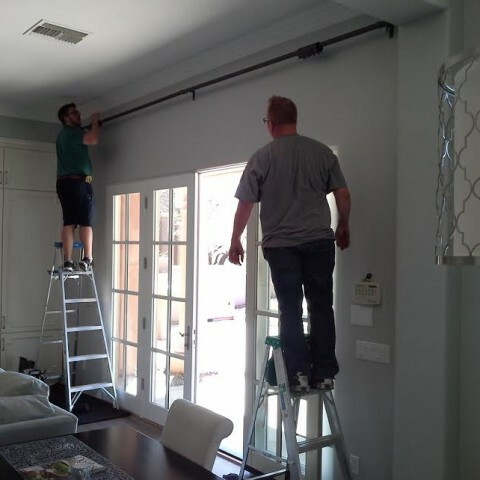 Our window treatment installers are professional craftsmen whose dedication to quality and attention to detail ensure that your project will exceed the client’s expectations. 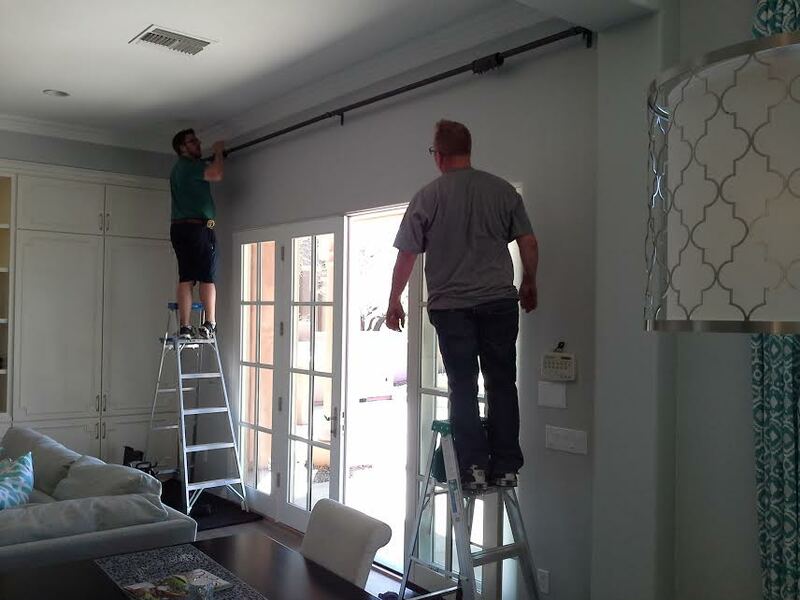 From the first measure to the final installation, our staff members are helpful, friendly, and committed to the client’s complete satisfaction. We offer a wide range of motorization options from hard-wired to battery operated solutions. Our home automation experts are up to date on the latest home automation solutions and can ensure that your window treatment motorization system will integrate seamlessly with existing home automation system.